Edmund Fremantle was born in The Old House on 15 June 1836, the fourth son of Sir Thomas and Louisa Fremantle. With the support of his sea-faring Uncle, Charles Fremantle, he joined the navy at the age of 13. At the age of 22, he joined his Uncle as Flag Lieutenant when Charles Fremantle was commanding the Channel Squadron. Edmund was promoted to Commander in 1861, and had his first command 3 years later with a despatch boat Eclipse attached to the Australian station, spending most of his time supporting troops in New Zealand who were engaged in a war against the Maoris, brought about by English settlers moving into their traditional lands. Whilst serving in the Antipodes, he married Barberina Isaacs, daughter of Robert Isaacs, who later became Chief Justice of New South Wales. He returned to England with the Eclipse in January 1867. He was promoted to Captain, but then had 6 years of shore leave, on half-pay, which he used to improve his knowledge and understanding of the latest naval technology. In March 1873, in the middle of the Swanbourne Agricultural Workers Strike, he heard that he had been appointed to the paddle-steamer frigate Barracouta and three months later, he arrived on the Gold Coast with 110 mariners, who were preparing to take on the Ashantis who were threatening British interests on that coast. The Second Ashanti War started with a dispute over Elmina Castle, in which Fremantle was heavily involved, and he remained on the coast for nearly a year, supporting a successful attack on the Ashanti capital at Kumasi, until the War came to an end. His next appointment followed quickly – to a frigate called the Doris, part of a Detached Squadron – which sailed to the West Indies, South America, the Cape and India. He then commanded two ironclads – Lord Warden and Invincible. In 1881, he became Senior Naval Officer in Gibraltar. Another ironclad, the Dreadnought followed in 1884 and in 1885, he was promoted to Vice-Admiral. In 1886, he became Second-in-command of the Channel Squadron. 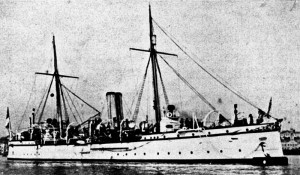 In 1888, Fremantle accepted the command of the East Indies station, mainly based in Zanzibar. In the early days, this involved enforcing an arms blockade on the African coast, and maintaining relationships with Portuguese and German presence in the region. He returned home in April 1891. 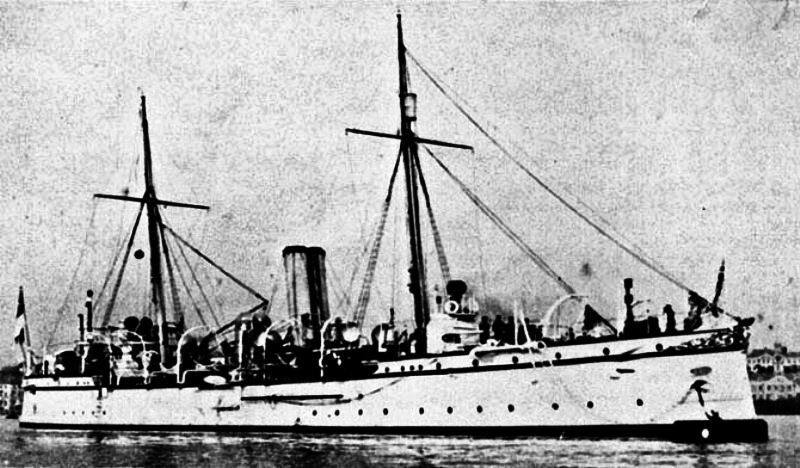 In 1892, he accepted the China command, based in Hong Kong. During the three years he served there, war broke out between China and Japan, during which his task was largely of observation and reporting back on what was happening, whilst also protecting British interests in the region. 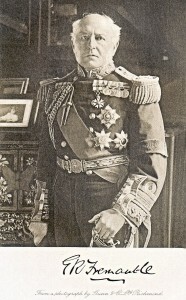 From 1896 to 1899, he was Commander-in-Chief of Devonport, during which time he reached the rank of Admiral. In 1901, he became Rear-Admiral of the United Kingdom. He wrote about his time in the Navy in his autobiography – ‘The Navy as I have known her’. He died in London in 1929, and was buried in the cemetery back in Swanbourne.